This week's Saturday Night Genealogy Fun is one of those where I tend to come up on the short end because of limited information about my family on one side and short lifespans on the other. 2) Tell us about it in a blog post of your own, in a comment to this blog post, in a status line on Facebook or a stream post on Google+. 1. Similar to one of Randy's connections, I have been told that I met my maternal great-grandmother, Sarah Libby (Brainin) Gordon, but I don't remember it. My mother told me she flew with me from California to Florida shortly after I was born in 1962, when I was just a babe in arms, so that her grandmother could see me; my father remembers that it happened. Unfortunately, my mother's father, who took photographs of everything else in the family, somehow didn't commemorate the four generations of women. 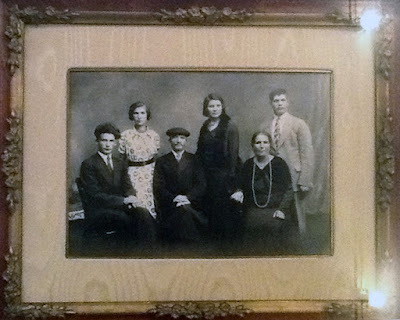 My great-grandmother was born about 1885 in the Russian Empire. She was the daughter of Mendel Herz Brainin and Ruchel Dwojre Jaffe. Based on the naming patterns in her family, it's likely that she knew at least one and probably most of her grandparents — Solomon and Yetta Brainin, and Joseph and Anna Jaffe — who would have been born at the latest about 1840 in the Russian Empire and possibly as early as the 1820's. 2. I met my paternal grandmother, Anna (Gauntt) Stradling, more than once, while she was living in Florida (I think in Jacksonville?). She was born in 1893, as I recently discovered, the daughter of Thomas Kirkland Gauntt and Jane Dunstan. 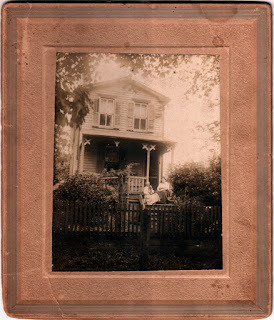 Because her family members lived close together in Burlington County, New Jersey, she almost definitely knew her paternal grandmother, Amelia (Gibson) Gauntt, who was born about 1831 and died in 1908. 3 I knew my paternal grandfather, Bertram Lynn Sellers, Sr., born in 1903, the son of Laura May Armstrong and Cornelius Elmer Sellers (if my grandfather was actually a Sellers, but that's still research in process). 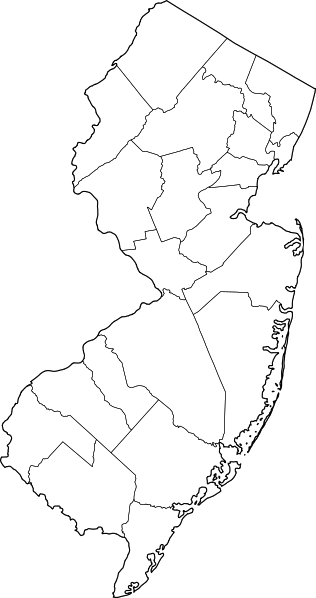 He may have known his maternal grandfather, Joel Armstrong, who was born about 1849 and seems to have died about 1921 or so in Burlington County. Grampa also probably knew his paternal grandmother, Catharine Fox (Owen) Sellers Moore, who was also born in 1849 and died in 1923. So with two degrees of separation, I can reliably get back to a great-great-grandmother born about 1831. That's 50 years shy of Randy. Even accounting for the fact that Randy is 20 years older than I am, I feel kind of deficient. 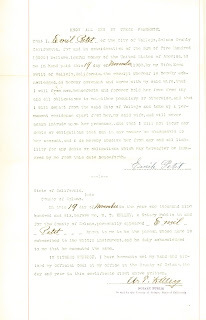 Last week's document regarding Emma (Schafer) Petit was an insurance policy dated May 2, 1901. The third document I have jumps ahead five and a half years to November 1906. Technically, this could be considered a document about Emile Petit, her husband, but she is mentioned in it, and it seems to be more relevant to her. 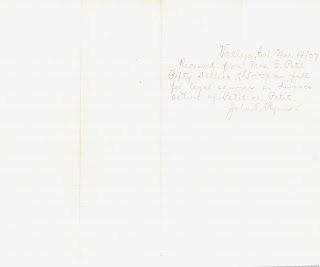 The document is on a legal-sized (8 1/2" x 14") piece of lightweight watermarked bond paper. It does not have a title. An embossed notary seal is at the bottom of the page. That I, Emil Petit of the City of Vallejo, Solano County California, for and in consideration of the sum of Five Hundred ( $500 ) Dollars, lawful money of the United States of America, to me in hand paid this 19 day of November, 1906, by my Wife, Emma Petit of Vallejo, California, the receipt whereof is hereby acknowledged, do hereby covenant and agree with my said wife, that I will from now, henceforth and forever hold her free from any and all obligations to me, either pecuniary or otherwise, and that I will depart from the said City of Vallejo and take up a permanent residence apart from her, my said wife, and will never again intrude upon her presence, and that I will not incur any debts or obligations that can in any manner be chargeable to her account, and I do hereby absolve her from any all liability for any debts or obligations which may hereafter be incurred by me from this date henceforth. On this 19 day of November in the year one thousand nine hundred and six, before me, W. T. KELLEY, a Notary Public in and for the County of Solano, personally appeared Emil Petit known to me to be the person whose name is subscribed to the within instrument, and he duly acknowledged to me that he executed the same. IN WITNESS WHEREOF, I have hereunto set my hand and affixed my Official Seal at my office in the County of Solano, the day and year in this certificate first above written. We already knew from Emma's handwritten narrative that she had divorced Emile Petit, so this official statement that they are separating their financial responsibilities is not surprising in and of itself. I have seen similar items in newspapers, where one half of a married couple announces publicly that he (or she) is no longer responsible for the debts and obligations of another. This is the first time I've seen a stand-alone document that accomplishes the same, and this one is even notarized. (I'm sure there's a name for this type of document, but I don't know what it is. If you do, please post a comment!) Emma was serious about getting her deadbeat alcholic husband out of her life, even being willing to pay $500 to accomplish it. The way it's phrased in the next to last paragraph, it sounds as though Emile signed the document not in the presence of the notary, even though all the handwritten parts (except for Emile's signature) seem to be in the same handwriting as the notary's signature (keeping mind, of course, that I am most decidedly not qualified as a document examiner, although I do know one). Maybe it's a standard phrasing that was used at that time? Nowadays, I'm accustomed to the notary's section saying that the document was signed in the presence of the notary. I'm used to seeing different spellings of names, but I noticed here that Emile's name is spelled in the document without the final "e" both times, even though Emile signed with the e. At least he knew how to spell his name. Emma wrote in her narrative that Emile liked to gamble and drink when he had money. How long did it take him to go through this $500? If Emile had visitation rights to see the children, I guess a third party had to help, as Emile said he wasn't going to see Emma anymore. When Emma took out her insurance policy she was living in Vallejo. She was still living there in 1906 when this document was signed. 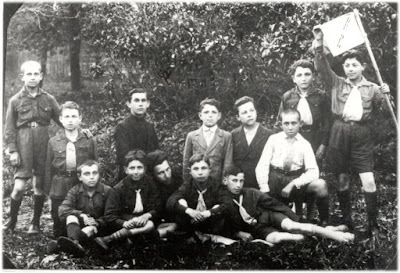 1) What are your genealogy education plans for 2016? Local society meetings or seminars? Regional or national conferences? Weeklong institutes? Genealogy cruises? Podcasts? YouTube videos? Webinars or Hangouts on air? Magazines? Web sites? 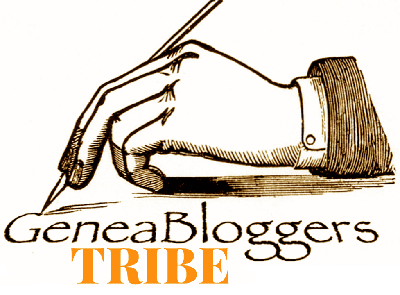 Blogs? 2) How much time do you invest in genealogy education? Why do you do it? 3) Tell us about it in your own blog post, in a comment to this blog post, or in a Facebook or Google+ post. * I started out by attending SLIG this past week. * I will almost definitely attend a local Ancestry Day that is being planned. * I will be at San Francisco History Days (the revitalized version of the former San Francisco History Expo). Though it is not specifically focused on genealogy, learning about history is very important for genealogy research. * I will be giving a talk at Jamboree and plan to attend several sessions there. * I will be giving talks at both the spring (hosted by Fresno County Genealogical Society) and fall (hosted by California Genealogical Society) meetings/seminars of the California State Genealogical Alliance, but each will also have other speakers, and I'll have the opportunity to learn from their presentations. * I plan to attend as many of the presentations offered by the San Francisco Bay Area Jewish Genealogical Society and the African American Genealogical Society of Northern California as I can. I am a board member of both societies and attend as many meetings as is possible and practical, but sometimes I have schedule conflicts. * I listen to as many Webinars as I can fit in my schedule. It's very convenient to have learning opportunities you can do at home. I regularly watch Webinars from Illinois State Genealogical Society, Legacy Family Tree, North Carolina Genealogical Society, Southern California Genealogical Society, Wisconsin State Genealogical Society, USCIS, and a few other organizations. * I usually take one or two online courses each year. * I have subscriptions to Avotaynu and the Association of Professional Genealogists' APG Quarterly. 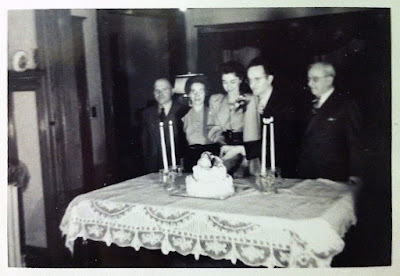 * I read about two dozen genealogy blogs on a regular basis and several dozen others less often. * I give about two dozen genealogy talks during an average year, and they are an opportunity for me to learn from other genealogists as much as they are for me to share what I know. 2. I probably spend an average of one to two hours each day on some form of genealogical education. I do it because there is always something new to learn, and it is an investment in both my professional work and my personal life. I try to apply what I learn to my work, my volunteer activities, and my own research. The Traditional Gift for the Fifth Blogiversary Is Cupcakes? Well, well, well, look what's here. 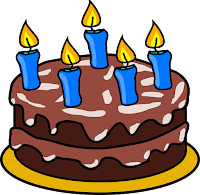 It's my fifth blogiversary today! I'm still trucking along, talking about genealogy and having a lot of fun. This year I"m celebrating with chocolate cake (see it to the left?). I even had a real chocolate chip-chocolate cupcake today, and boy it tasted good. Celebrating my blogiversary at SLIG was just an extra bonus. I passed the 800-post mark in December, which really surprised me. I have to admit that I am more comfortable writing than when I started, even though I sometimes still need a kick in the pants. I have lots of stories I'm still working on that I want to share. I honestly don't know when I'll run out of stories, which is a good thing, right? Between my own research, working with my extended family members on their research, my volunteer work, and all the other things I do, I'm sure I will always find interesting stories in genealogy. Thanks again to everyone for reading my blog and being such great supporters. Genealogy is about sharing, and I appreciate you sharing your time when you stop by. I hope you enjoy the information and photos I share. By the way, the real traditional gift for a fifth anniversary is wood. I don't think that "would" be quite as tasty as a cupcake, though. 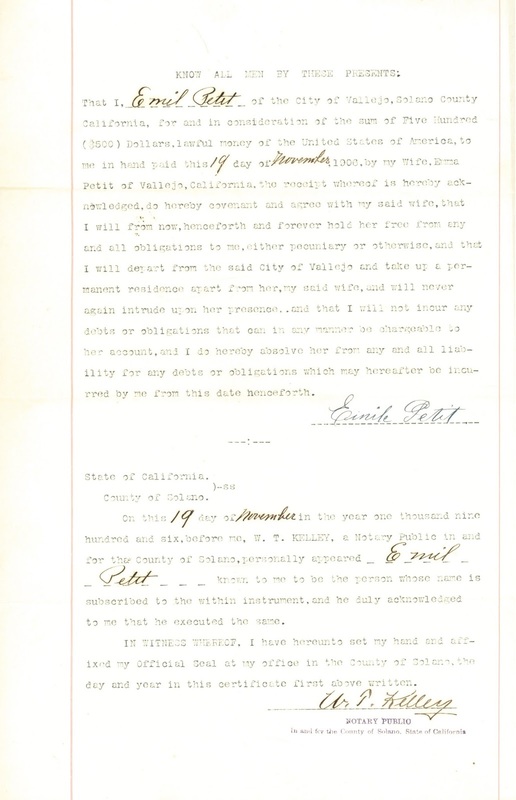 The second document I have chronologically for Emma (Schafer) Petit is an insurance policy from 1901. This is an 11"x17" piece of paper, designed to be folded in half and then as a trifold. The writing is faint but legible. The signatures are strong and dark. I've underlined the parts that were handwritten on the policy. This Certificate must not be delivered until the person above named has been admitted to membership and has paid the first assessment. This Certifies that Sister Emma Petit of Vallejo, Cal. in ten equal annual payments. 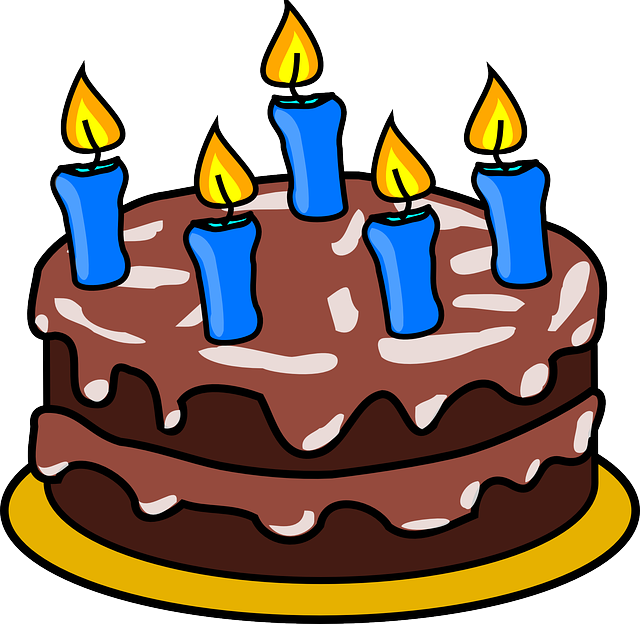 Arriving at the age of Seventy Years is hereby construed to be total and permanent disability. and in addition thereto, the total amount of assessments paid on this certificate, less the amount of all claims paid to said member for total and permanent disability benefits. less the amount of all claims paid to said member for total and permanent disability benefits. FOURTH:—Upon satisfactory proof being furnished that said member has become totally disabled, through external violent and accidental means, and is thereby entirely prevented from attending to or performing any business or occupation, it agrees to pay to said member an Accident Benefit at the rate of Ten Dollars per week, after the first week, while thus totally disabled, not to exceed twelve weeks for any one accident, provided a written notice is given to the Supreme Lodge within ten days after the occurrence of the accident. It is further expressly understood and agreed that no claim shall accrue under this certificate unless said member is in good standing in the Order, and not disqualified according to the Constitution and Laws prescribed from time to time by the Supreme Lodge of The Fraternal Brotherhood. 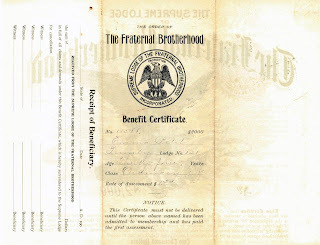 In Witness Whereof the Supreme Lodge of The Fraternal Brotherhood has issued this certificate and has caused the same to be signed by its President and Secretary and attested by its Corporate Seal, this 15th day of March A.D. 1901. May A.D. 1901. Mrs. Emma Petit. The remaining leaf of the insurance policy has sections for "Application for Change of Beneficiary" and "Application for Decrease", both of which have not been filled out. Emma mentioned three children in her handwritten narrative but didn't name them. Now we know who they are! It will be interesting to see whether Mary, Camilla, and Eugene show up in later documents. We learn here that Emma had returned to the United States. The last we heard from her, she was in Dieuze with her husband's parents. She had mentioned Florida but not California, so it was surprising to find her in Vallejo. There's no indication of why Emma took out an insurance policy at this time. I don't know if she was going to be traveling, if she was worried about a situation with her husband (Emile Petit), or if she was just thinking about the welfare of her children. I'd like to think that she was simply being a good mother. I did notice that Emile's name doesn't appear anywhere on the document. I was amused to see that reaching the age of 70 was considered "total and permanent disability." Some things have changed over the years. I tried to find information about the Fraternal Brotherhood, but not much seems to exist online. A 1905 photograph of their offices in Los Angeles is online on Wikimedia and USC's digital library. A small feature piece about the organization appeared in the Los Angeles Financier of October 3, 1906, and a short article about the organization's history was published in the Los Angeles Herald on March 29, 1908. 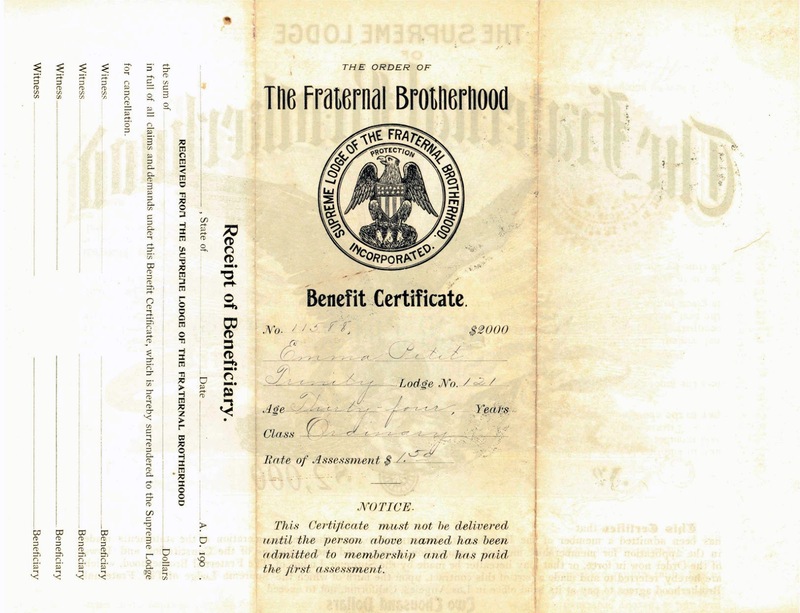 And it is included in a listing of fraternal benefit orders on Wikipedia; it existed from 1896 to at least 1923 and apparently had a "secret ritual, passwords, grips and signs." The Brotherhood seems to have had a decent reputation, at least. Well, if you ignore the secret ritual stuff. I'm more than halfway through my first Salt Lake Institute of Genealogy (SLIG), and I'm working on processing what I've learned so far. The class I'm attending is "Swing through the South", which was originally going to be taught by J. Mark Lowe, but he unfortunately was not able to come. Kelvin Meyers took over coordination of the course, and our other speakers are Dr. Deborah Abbot, Anne Gillespie Mitchell, and Michael Hait. I chose this course about the South because it supports my volunteer work with the African American Genealogical Society of Northern California, where I am a board member and editor of the quarterly journal. My volunteer work is how I earned a scholarship to attend SLIG this year. There's no question that the best session so far has been Kelvin Meyers' talk about church records in the South. This is obviously a subject dear to him, and his enthusiasm was clearly evident. He discussed the First and Second Great Awakenings in religion in the United States and talked about prominent leaders in several religions. He then explained which religions were predominant in each of the Southern states (though there were a couple of omissions). He also supplied a fairly comprehensive listing of archives for those religions. This presentation had a great amount of information I'll be able to use in future research. The plenary session on Monday night, "Genealogically Speaking" by the Rev. Dr. David McDonald, was entertaining and enjoyable. He had everyone laughing as he related family stories and reminiscences but became serious when he explained that recording and sharing those stories are so important. Wednesday night the International Commission for the Accreditation of Professional Genealogists (ICAPGen) sponsored classes, consultations, and light refreshments at the Family History Library for SLIG attendees. I went to a fantastic talk on religious migrations to the United States, by David Dilts. It was really interesting to see a timeline of how a round of religious dissent led to a religious split, and again, and again, and then how those disaffected migrated to this brave new land. And his handout was jam-packed with information I'll be rereading to make sure I understand it all. The night at the library was a new event for SLIG this year; it seemed to be very successful. One of the really fun things at SLIG has been networking with the 350+ other genealogists gathered here in Salt Lake City to learn more about researching family history. I've made some wonderful connections with people, and I'm looking forward to collaborating and sharing information with them in the future. Of course, since I'm in Salt Lake, I planned ahead for some research at the Family History Library. My big score has been finding the birth record for my paternal grandmother. I learned she was born a year earlier than all of her later records indicate, which isn't that uncommon for someone born in the 1890's. I was surprised and disappointed to see that her mother's name wasn't listed on the record, but at least it showed that her mother was born in England, so I'm sure it's the right person. I did a little genealogy happy dance in my seat when I found her on the microfilm. Two more days of classes are coming up, plus the closing banquet on Friday evening, when Judy Russell (The Legal Genealogist) will speak about researching children in your family history. And I don't leave Salt Lake until Saturday night, so I have all day for more research at the library. I still have a lot to look forward to! It's been a couple of months, so it's time to post about the latest links to be added to the Wikipedia newspaper archive page. Most of the new links are free, which is always appreciated. One new country has been added, though I don't know how many people are researching Sierra Leone in the late 1800's. Some of the new links are actually magazine archives, but they still seem to fit under the newspaper/periodical category. I've been seeing many posts lately about college yearbooks being digitized, but that really is a different kind of publication. What do you think, should there be a Wikipedia page collecting listings of online archives of college yearbooks? • Saskatchewan, Canada: The Saskatchewan Historic Newspapers Online collection has newspapers from many cities and towns, but I can't find a list of titles or dates that are covered. • Canada (multiprovince): The Drouin Institute has links to an English-language page with transcribed obituaries, which is free. The Institute also has a paid subscription site which has newspaper images and many more records. • England: The Middle East magazine, a well regarded journal about the Middle East, has an online archive covering 1974–2014, available only as an institutional subscription. • Sierra Leone: The Earley Dawn, published in Bonthe from 1885–1892, has been digitized and is available on the FultonHistory.com site. Heaven knows where Tom Tryniski found this microfilm! • United Kingdom: The Journal of the Royal Army Medical Corps for 1903–present, plus index volumes for 1903–1965, is online. It seems to be free, but I'm not completely sure. • California: The Hemet–San Jacinto Genealogical Society has an obituary index for the Hemet News, Press Enterprise, and Valley Chronicle, but no indication of the years covered. • California: The J, the weekly Jewish newspaper for the San Francisco Bay Area, has an archive going back to 1995. The paper includes many wedding announcements, obituaries, and other life events. • Georgia: The Callaway Beacon was a weekly magazine published for the employees and families of the Callaway Mills Company in LaGrange, Georgia. Issues from 1955 and 1957 are now online. • Indiana: The Hamilton East Public Library has a newspaper index for Hamilton County, with no list of years or titles covered. On the other hand, if you find a relevant article, they will send you a scan by e-mail for no charge. • Michigan: The Michigan Digital Newspaper Portal has links to individual newspaper sites and also allows you to search the entire collection in one place. • New York: The famous Yiddish newspaper The Forward/Forverts and two more Jewish newspapers published in New York have been added to the growing collection of Jewish newspapers on the National Library of Israel site. I do not read Yiddish, so I am not sure, but I think the paper is searchable in Yiddish. • New York: A database of New York Evening Post death notices from 1801–1890 is in the collections at NEHGS. • New York: The Ram, the Fordham University student paper, is online from about 1914–2008. It's hard to tell exactly what years are covered, as the dates are not displayed in order, even when I request the database to do so. I have found articles about one of my cousins who attended the dental school at Fordham in the paper. • New York: The Troy Genealogical Society has added several more indices from newspapers: a marriage index from the Burden Iron Company, and death notices from Troy newspapers for 1797–1860. 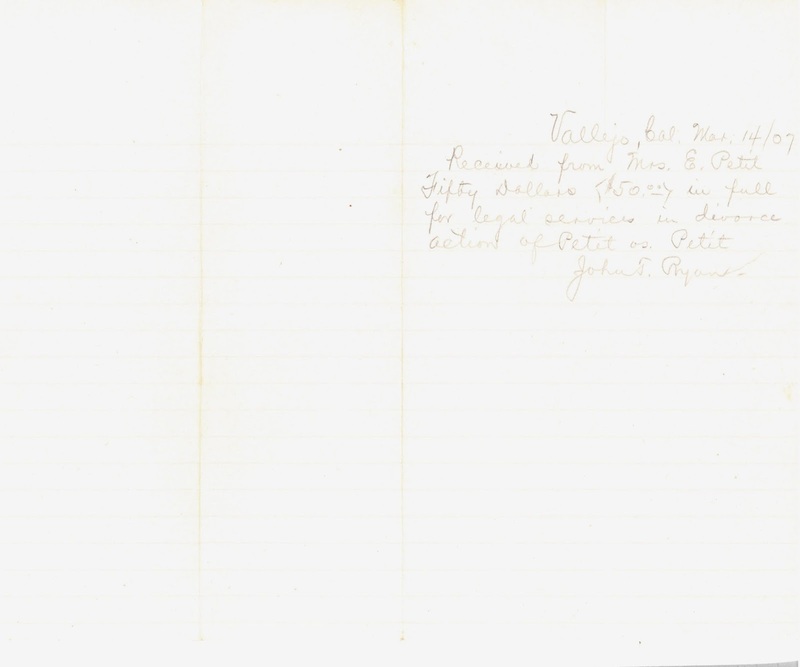 From the latter, notices for Revolutionary War soldiers and soldiers from other wars have separate lists online. • Ohio: The Toledo–Lucas County Public Library has posted an obituary index for the Toledo Blade for 1837–present. • Pennsylvania: Someone at the Adams Memorial Library has a sense of humor. The Latrobe Bulletin obituary index for 1902–present has been dubbed the "dead-a-base." • South Dakota: South Dakota only recently was added to the Chronicling America collection, with five newspapers. Now 13 newspapers covering 1875–1919 are online. • Multistate: Aviation Week & Space Technology has published an online archive of all of its issues, dating back to 1916. • Multistate: The Garon family newspaper articles is a collection relating to that particular family and its related lines. The articles cover 1855–2013 and are mostly from Michigan, Minnesota, and Wisconsin, but there are a lot of them with a wide range of subjects. • Multistate: The Media History Digital Library is a growing collection of periodicals relating to the histories of the movie, broadcasting, and sound industries. One of the subcategories is even "Government and Law." • Multistate and World: Newspapers in Microform is a Library of Congress catalog of newspapers published in the U.S. and around the world from 1948–1983, downloadable as three PDF files. The Chicago Tribune has a beta site for its new archive search engine, which is currently free to use. After the beta has finished, the site will become a paid subscription one. Coverage appears to be complete from 1857–1991, with some issues going back to 1849. There is also a FAQ page. The National Endowment for the Humanities (NEH) has created a contest for people to use the Chronicling America database. It wants people to create Web-based projects based on information from the newspapers in the database. Prizes are $5,000 for first, $3,00 for second, and $2,000 for third place, with separate prizes possible for K–12 contestants. The contest closes June 15, 2016. 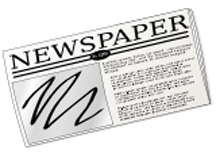 NEH is also currently accepting proposals from institutions that would like to apply for grants to have their newspapers digitized and become part of the National Digital Newspaper Program. The deadline for receipt of proposals is January 14, 2016. Now that we have a good overview of the timeline of Emma Schafer's life at least up to about 1920, from her early years through two marriages, I'm going to work through other documents in chronological order from the beginning. 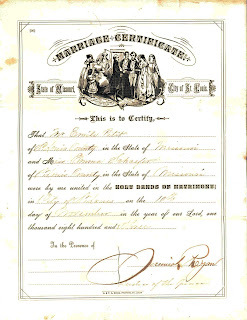 Among the documents relating to Emma was what appears to be an original copy of her 1883 marriage certificate. (I wish I had something like this for my own family!) It might be only a "souvenir" copy, because no witnesses are listed, but it certainly looks old. The paper has been folded many times. The handwriting is light but clear; Jeremiah Ryan's signature is bold and dark. State of Missouri, City of St. Louis. Two things surprised me about this: They were married in the city of St. Louis, and the marriage was performed by a justice of the peace. Not having the marriage in St. Louis County, where everyone lived, made me think that it might have been a deliberate choice to have them married away from prying eyes. Considering the short amount of time this was apparently accomplished in, Mr. and Mrs. Curdt probably didn't want those prying eyes. Once I thought about it, however, the short amount of time probably had something to do with the choice of a justice of the peace. A pastor, priest, or other officiant from a church probably would have wanted the couple to have known each other a little bit longer than nine days. If this is only a souvenir or "wall hanger" copy, original records might list who the witnesses were. 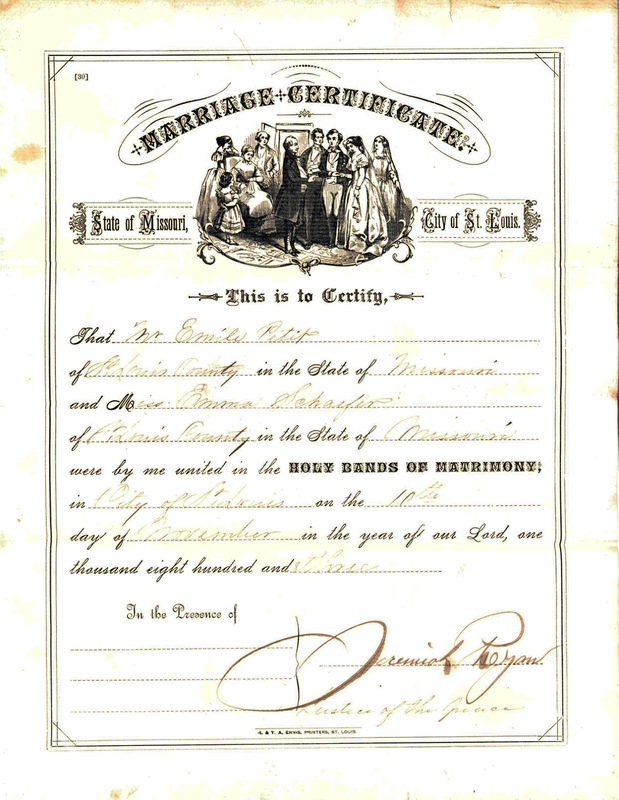 The typed narrative asserted that the marriage took place in front of witnesses and Emma's mother, Mrs. Curdt, so their names should appear somewhere. Or maybe the witnesses didn't want their names associated with the event? Last year I was interviewed by the editor of Speak!, the newsletter of the Genealogical Speakers Guild, and my profile was published in the December issue. I got to talk about how much I love genealogy! You can read the issue here. Many thanks to Katherine Willson for interviewing me and to new Speak! editor Lauren Maehrlein for polishing the article. 1) What was your best research achievement in 2015? Tell us: Show us a document, tell us a story, or display a photograph. Brag a bit! You've earned it! 2) We all have elusive ancestors. What research problem do you want to work on in 2016? Tell us where you want to research and what you hope to find. Well, I absolutely think my best research achievement last year was the collaboration between me and my half-sister that resulted in finally(!) obtaining a copy of my paternal grandfather's birth record, which I wrote about earlier. Not only had I been incredibly frustrated at not being able to get the record, it turns out the information on it and the subsequent amendment that was filed have raised interesting questions. • I'm trying to learn what happened to the son that my aunt put up for adoption in 1945. My aunt turned 90 this year, so on a practical level this is the most time-sensitive. • I want to determine whether my grandfather's father was the same man who fathered my grandfather's siblings. One of my cousins, who is a straight-male-line descendant of my grandfather's brother, agreed to take a Y-DNA test, and he recently told me that he has sent it in. Now I just have to wait to see if he matches my father. And if not, I'm sure it will be . . . er, entertaining to try to figure out who my grandfather's father actually was. The other focus will be more research on my Cuban cousins, which I've recently started working on more diligently. I want to make progress on this while some of those cousins who were actually born in Cuba are still alive and able to share information with me. So this one has a time-sensitive aspect also. I'm always on the hunt for documents relating to family members. 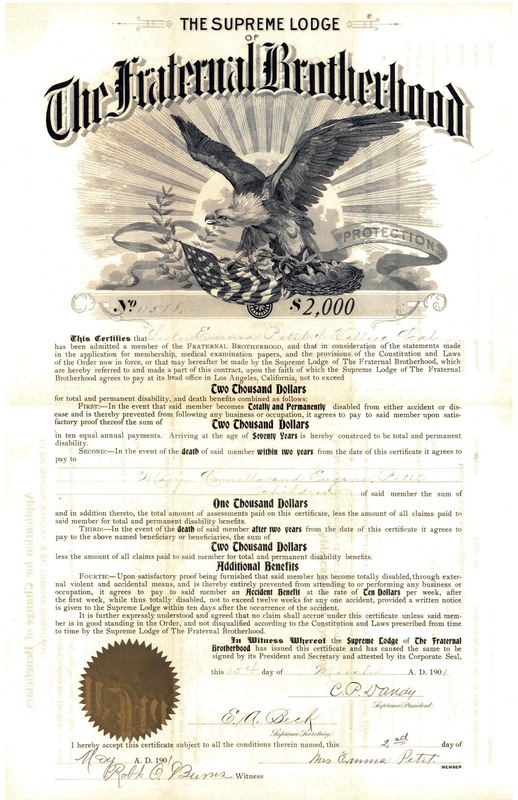 I became interested in stock certificates when my half-sister sent me a photo of one that had belonged to her great-grandmother. 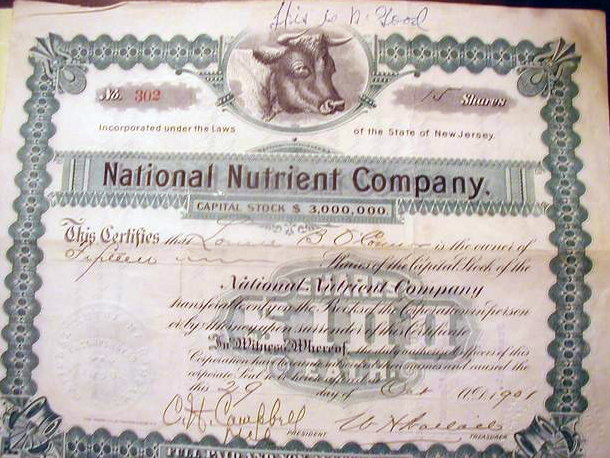 In 1901, Louise O'Connor bought 15 shares in the National Nutrient Company of New Jersey. Apparently the company made a "milk powder" which had all the nutritional value of milk. Perhaps she was interested in nutrition for her family? We don't know for sure, but it seems to indicate something about her. One episode of History Detectives focused on stock certificates from Marcus Garvey's Black Star Line and discussed what the purchase of those certificates said about the person who bought them. I wrote recently about two vendors on eBay who sell old press photos that often have everyday people in them. 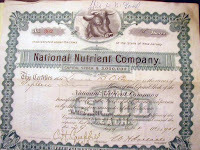 Now I've found a vendor who has several old stock certificates. He appears to be selling them strictly for the interest in the certificates, because he is not including the names of the purchasers in the descriptions of the items. (You'd think these sellers would try to come up with more ways to cross-market their items, but no.) A lot of these certificates have people's names on them, people who might have descendants or other relatives researching them. I would love to find one with my relative's name, but so far I haven't. Just to spread the word, here are some items expiring today, January 1, and Saturday, January 2. Roberta Lee Hoover, 1960, Mt. 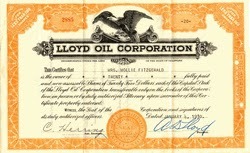 Hood Stages, Inc.
LeRoy Fullwood, 1923, Alden Coal Mining Company Inc.
And if you ever come across any stock certificates for the Lloyd Oil Corporation, let me know, ok? The closest I've come is this tiny little image I found online one day.